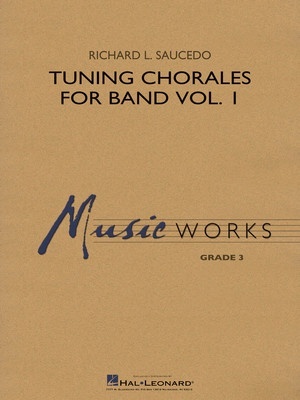 Drawing on his many years of experience building nationally acclaimed band programs and also his work as a successful guest conductor and clinician, Richard Saucedo has created a much-needed set of key-based chorales. These chorales incorporate the concept of drones (included on every part), and in addition to helping your ensemble focus on tuning these are great for developing tone, balance and phrasing. Vol 1 includes three chorales: Bb major, D minor, Eb major.